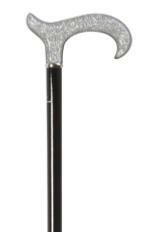 A very stylish cane suitable for evening use. 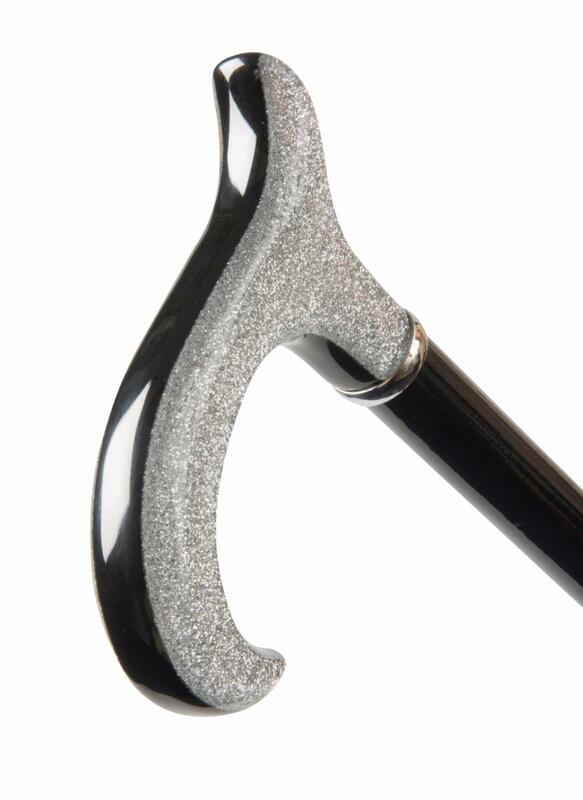 The derby handle is made from smooth acrylic, laminated to enclose a layer of glittering silver lamé material on each side of the handle. The centre of the handle is black acrylic, forming a smart black stripe along the top of the handle. It is mounted on a black hardwood shaft, fitted with a smart chrome collar and a non-slip black rubber ferrule. Overall height 94cm (37"). Ferrule diameter 16mm.